As the owner or manager of a business, chances are that you are constantly thinking of ways to keep your employees motivated and productive during the workday. When you are seeking a highly effective way to boost morale, you may want to consider implementing corporate awards . Custom corporate awards from a store offering personalized gifts in San Jose and Santa Clara will provide your employees with a positive boost that may highly increase their motivation on the job. By recognizing your employees with custom awards, you can also acknowledge their accomplishments or successes on the job. 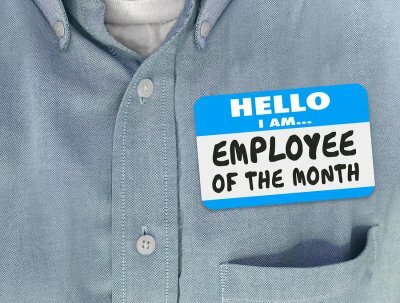 Here is a closer look at why employee recognition is so important for your business. Praise and recognition are highly important aspects of any workplace. When you praise your employees, you will show them that you value them as a member of your team, and also that you recognize the successes that they have shown on the job. By providing corporate awards to your valued team members, you will provide them with the recognition that they need to keep working hard in their career paths. Along with providing important praise to your workers, employee recognition and awards will also help you build relationships with your staff members. By implementing corporate awards, you will communicate to your workers that you notice the hard work that they are putting in when they are working for you. As a result, you can help to build meaningful and lasting relationships with every member of your team. Employee recognition can also encourage your workers to increase their productivity on the job. For example, if your business is involved with sales, recognizing the highest selling employees will motivate your other workers to increase their own numbers. With carefully selected corporate awards, you may notice that your business sees a boost in overall productivity. When you are planning on delivering awards to your employees, be sure to work with a highly rated trophy and award shop in your local area.